A few years ago I walked into Goodwill with the intention of purchasing a gently-used sweater. I walked out with a baby name book that made my mother raise an eyebrow. “Is there anything we need to talk about?” she asked. I laughed and explained to her that I was going to use it to find names for my characters. She wasn’t the only one I needed to explain my purchase to. Any time I whipped out the book, my friends, coworkers, and loved ones all wanted to know what use I had for it. 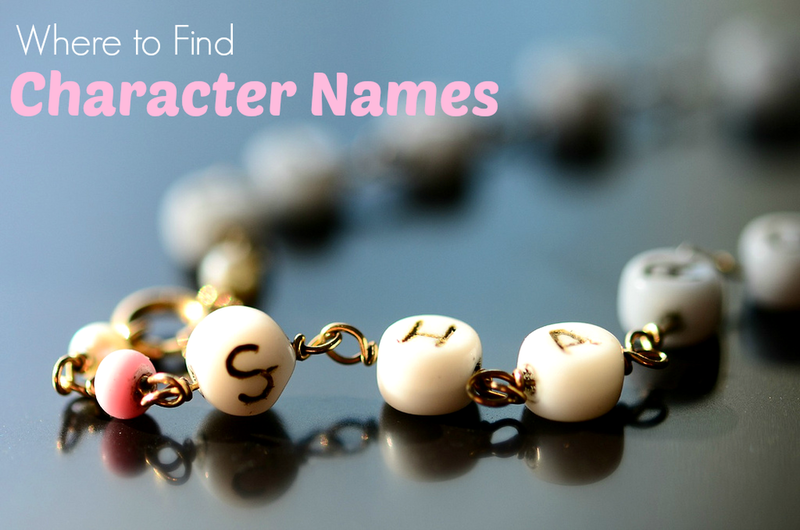 If you’re a writer, you need several resources for character names. While a baby name book is one example, there are several other options. A close second to the baby name book is the baby name website. The internet is full of these; they’re cropping up all over the place! Some of my favorites include Behind the Name, Baby Name Voyager, and Baby Names. These sites contain lists of popular names as well as the meaning, history, and origin of them. If you don’t want to go out and purchase a book, you should utilize these free resources. Here’s a tip for names that I bet you’ve never heard: the next time you watch a television show or a movie, pay attention to the credits. Pick a first name and combine it with a different last name. Congratulations! You’ve named your character! Another great method is to take a stroll through a cemetery and pick some names off headstones. If you don’t feel comfortable using names that have belonged to people, mix them up like you did with the movie credits exercise. One of the most difficult things about being a writer is knowing what to name your characters. Hopefully these free resources can help. Happy naming!